2016 delivered a huge number of great dry Riesling. This includes a bevy of wines by the Koehler-Ruprecht, including a stunning Saumagen Spätlese Trocken. This includes dry Riesling which we extensively reviewed in the Mosel Fine Wines Issue No 38 (Oct 2017). One of the Estates which stands out for the sheer quality of its dry Riesling collection in Weingut Koehler-Ruprecht, and in particular for a magical 2016er Saumagen Spätlese Trocken. 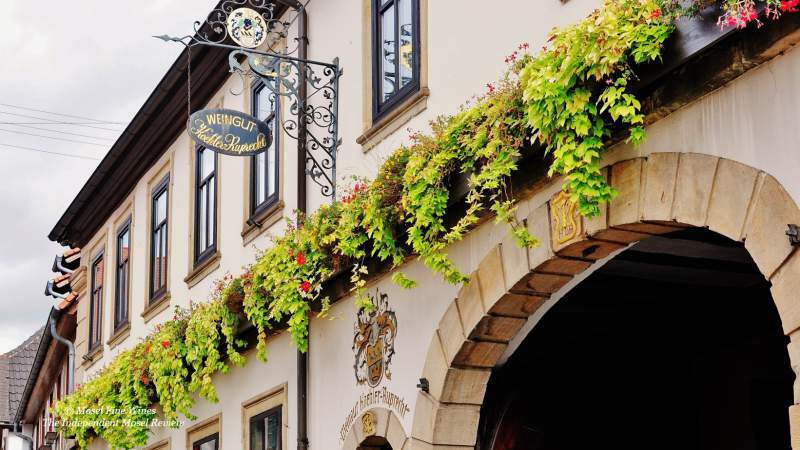 Weingut Koehler-Ruprecht is a rather small Estate (with no more than 13 ha of vineyards) located in Kallstadt, in the northern part of the Pfalz region. The Estate can look back at a long history but its ascent to fame only came recently, under the impulse of Bernd Philippi. He intensively worked the vineyards early on and relied, among others, on spontaneous fermentation and extended lees contact. As a result, he was already producing some great age-worthy dry Riesling at a time when Germany was still best-known for its sweet wines. In particular, the Estate’s R and RR bottlings (R standing for "Reserve" and RR for “double Reserve”) set new benchmarks for the concept of dry German Riesling. This includes the 2004er Saumagen Auslese Trocken R. This legendary wine was a highlight of our 10 Years-After retrospective of the 2004 vintage back in 2014. By the early 1990s, Koehler-Ruprecht had already established itself as a leading producer of great dry Riesling in the world, alongside his friend Bernhard Breuer from Weingut Georg Breuer in the Rheingau. The Estate was eventually sold in 2009, and Bernd Philippi slowly handed over its management to Dominik Sona, who officially joined in 2010, and Franziska Schmitt. 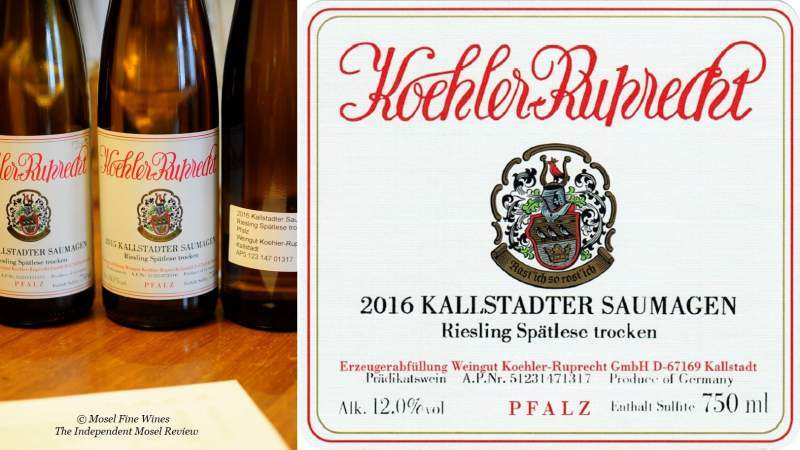 The Estate stuck to its key principles of bottling Spätlese and Auslese Trocken bottlings, including its rare R and RR bottlings. 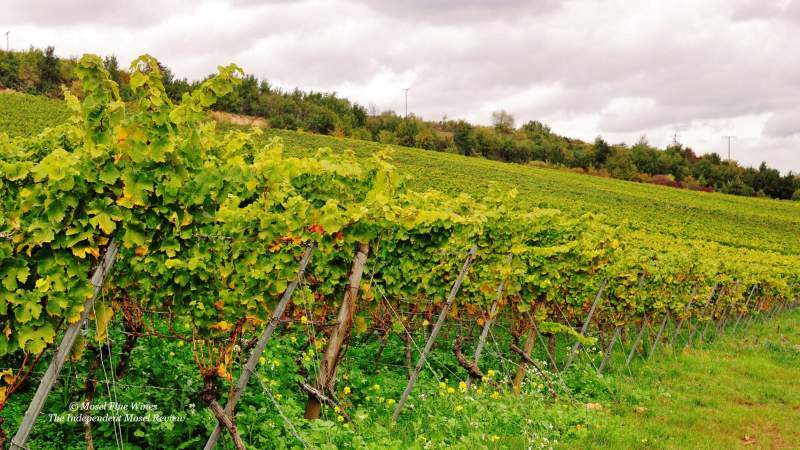 Consequently, it decided to leave the VDP in 2014, when it felt that the new vineyard classification would have put its wine portfolio structure into jeopardy. This change of hands did not affect quality: We had the chance to recently taste quite a few wines from the last three vintages (see Mosel Fine Wines Issue No 38 – Oct 2017) and the wines are simply superb. After he formally took over the responsibilities of the Estate, Dominik Sona purposefully started to harvest fresher fruit than in the 2000s in order to produce less opulent wines and more focused, precise and pure dry Riesling. We had the chance to taste all these yet-to-be released dry Riesling from the 2016 vintage, including the R bottlings. Simply put, these wines are mental and are clearly modern-day legends in the making. This includes already the "regular" Spätlese Trocken from the Saumagen, which will be released in May 2018. The wine is simply magic in a bottle, being both intense and gorgeously refined. Every Riesling lovers needs to secure some of these 2016 gems by Koehler-Ruprecht in their cellars. They are that good. The amazing 2016er Riesling collection as well as many 2015s and 2014s by Koehler-Ruprecht was reviewed in the Mosel Fine Wines Issues No 38 (Oct 2017). You are a subscriber and miss this Issue? Simply send us a request by email and we will be happy to send you a copy. You are not yet a subscriber and wish to get this Issue? Subscribe free of charge by registering yourself here below and ask us for a copy by email.